Javier Asensio, who comes from Jaen, the home of olive oil in Spain, couldn't believe the price and poor quality of the olive oil on sale in supermarkets in this country. "Olive oil is so expensive here and the quality is nothing like the delicious olive oil we produce in Southern Spain," says Javier, who came to work in the UK as an engineer for a solar energy company in Horsham in Surrey. "Often when supermarkets say olive oil is 'Extra Virgin' it is nothing of the sort," explains Javier. "They also buy the olive oil in bulk and destroy local farmers by paying them a pittance." Javier decided to set up a web portal Fincalink (finca means 'farm' in Spanish) to allow Spanish growers to sell their exceptional quality olive oil directly to consumers, cutting out supermarkets and the middlemen. "We want to help make Spanish olive oil appreciated by international consumers by offering them the best and freshest olive oil," explains Javier. "We feel it is our duty to spread the word about its healthy properties and the joy of tasting real, fresh olive oil." 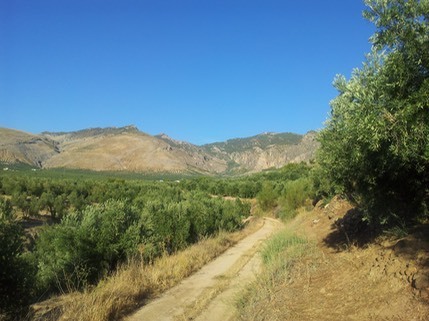 “The taste of fresh, single estate olive oil is a real eye-opener for those who have never experienced it,” adds Javier. “But once you have sampled it, there’s no going back!" Quality and freshness are neither free nor achieved in a hurry however. �"We want to give the producers the best possible price that rewards their efforts and the recognition they deserve," says Javier. You can do this at www.fincalink.com and get their delicious, healthy olive oil dleivered straight to your door! Javier is also offering Local Mums�a 10% discount. Just add the voucher code LMO at the voucher field when checking out online. (The offer is valid once per customer until end of April, 2013). It's the perfect chance to sample this delicious fresh product for yourself!